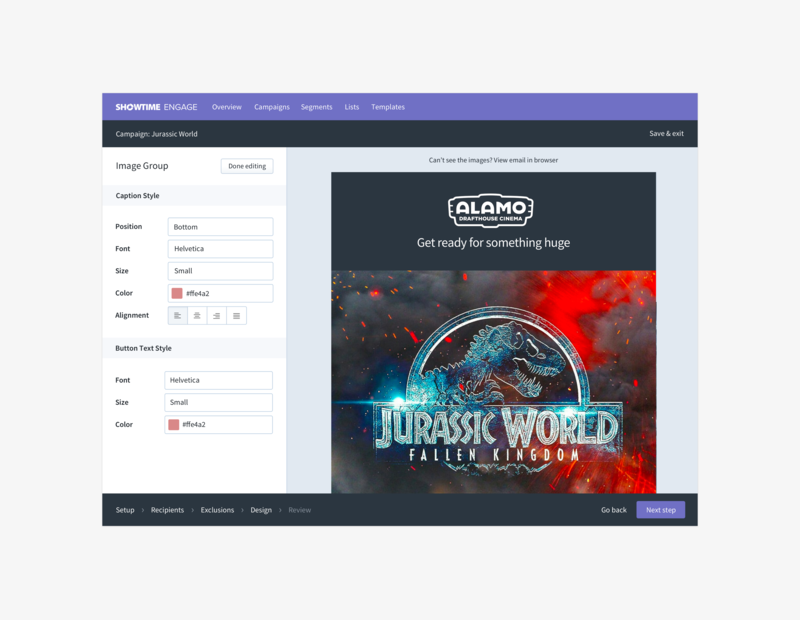 Engage is a marketing platform enabling cinemas to send personalised customer communications and to effectively measure and analyse user engagement with their brand. 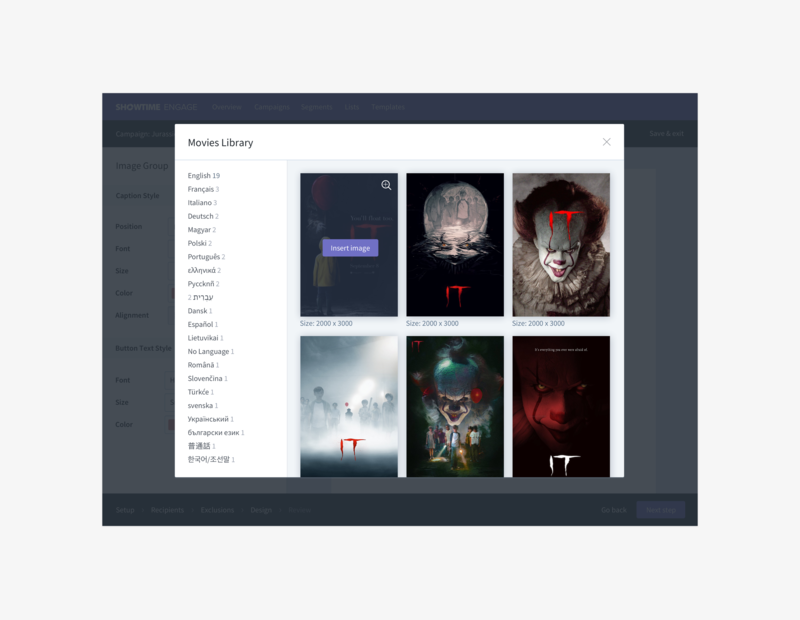 The Showtime Analytics platform centralises the data collected by movie theatres - it collates and stores this data, and presents it back to the user in a comprehensible and easy-to-digest manner. Engage is a marketing tool built on the Showtime platform. It allows cinemas to segment their customers based on behavioural data, to target them with relevant marketing communications, and to track and measure the performance of these communications. I joined Showtime in the summer of 2017, at which time they had just launched an alpha version of Engage. An initial prototype had been built as a proof of concept, and although successful as an MVP, had some considerable usability issues. A full refresh of the application was required, to include a reworking of the product flows and information architecture, new UX and UI, and a reassessment of all of the product requirements. We began by completing an analysis of the existing feature set and user journeys. 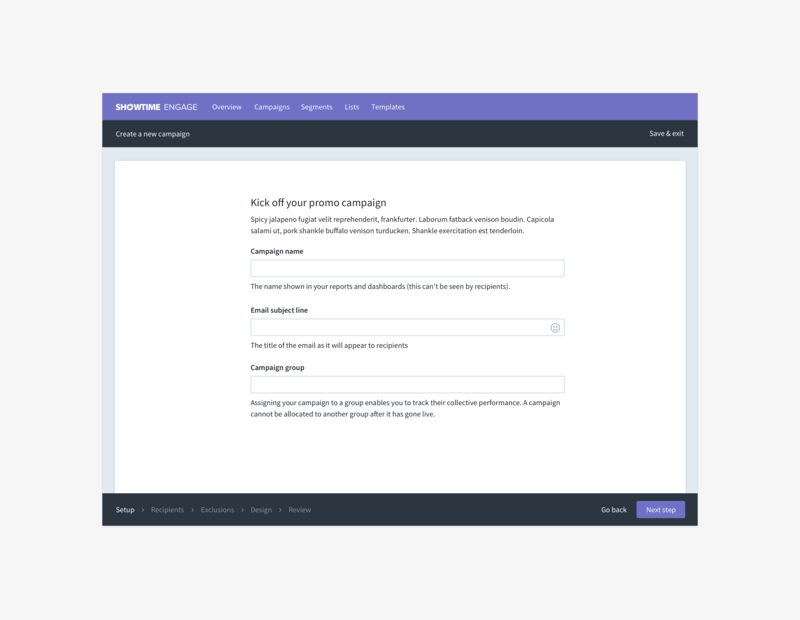 Although a user could successfully complete a marketing campaign using the current implementation, the process was somewhat cumbersome and confusing in parts. Some areas of the product had been over-engineered, while others were lacking basic usability. We approached our analysis on two fronts - rethinking the use cases and the desired functionality of the product, and streamlining and simplifying the UX. Using the Jobs to be Done Framework, new and revised product requirements were created, which would form the basis of refreshed user journeys and a new information architecture. From there, we began the process of revising each and every screen and user flow in the application. The product team worked closely with business stakeholders to scope out requirements for individual features. We then held as many interviews as possible with customers to validate, clarify (and at times disprove) the use cases we had developed. The product design was kickstarted by mapping out the high-level IA of the app. As Leveris is a modular platform, we needed to create an architecture that could be customised by the client depending on which product features they required. This was achieved by allowing the customer to add, remove and re-order individual modules. The prototype was designed both as an MVP and as a product demo for potential clients. 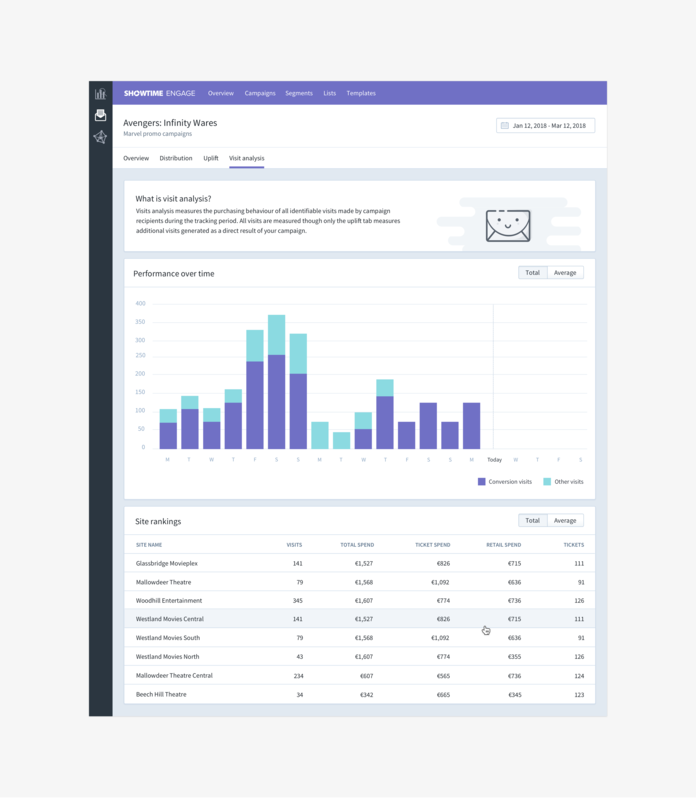 For this reason we payed particular attention to the initial onboarding flows of the app - this would be the client’s first view of the product, and our first chance to make an impression. With a comprehensive backlog of features in place, we began work on creating wireframes of the interface. 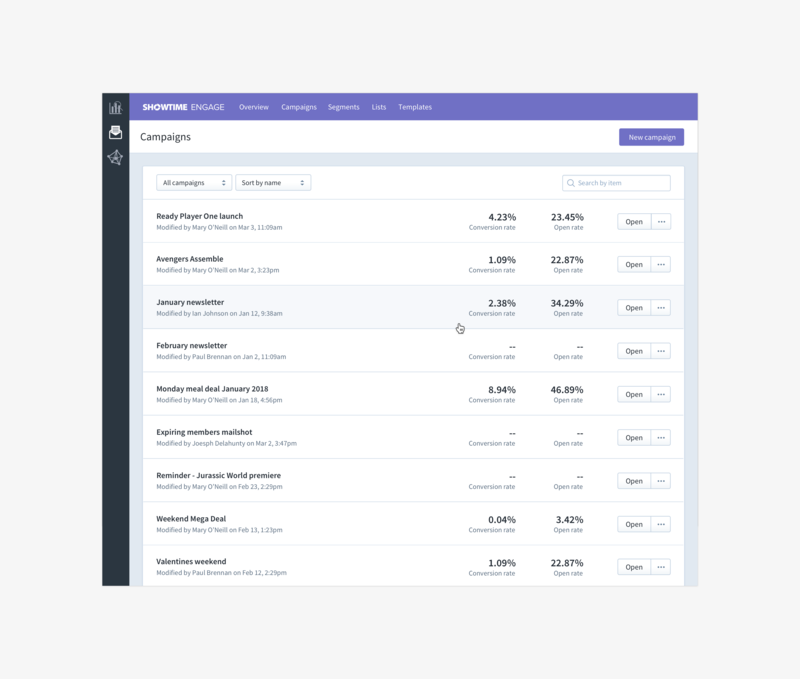 There were two distinct areas of focus - the flows for creating and sending a marketing campaign, and the reporting dashboards for analysing the performance of sent campaigns. A lot of thought was required for these reporting dashboards in order to make large amounts of data intelligible for the end user. Once final wireframes were approved, high-fidelity UI designs were created. As the product grew in scope, it became apparent that the rapid pace at which we were outputting features was causing consistency and detail to get lost between design and development. 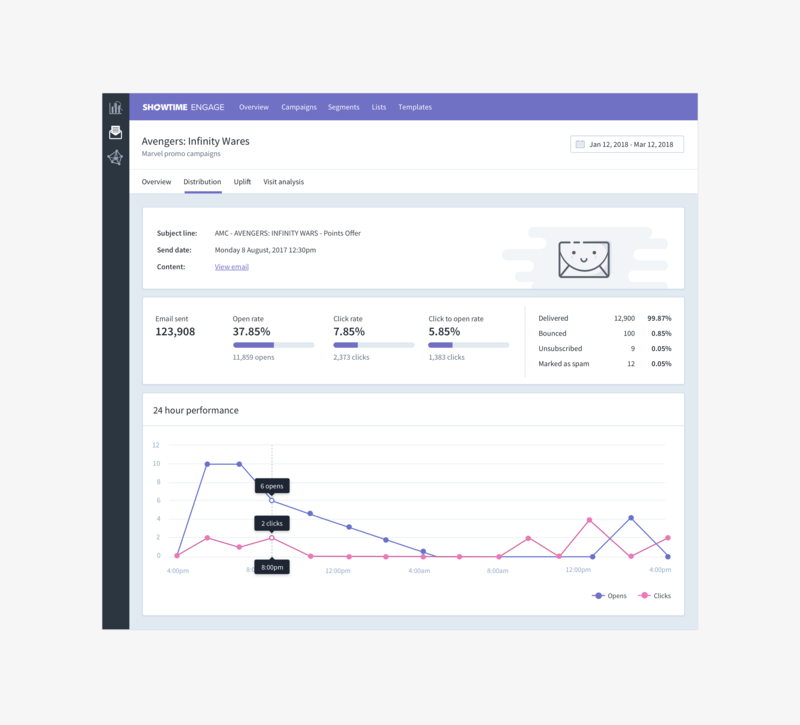 This was compounded by the fact that Engage was just one product within a wider suite of applications, with different development teams working on each. 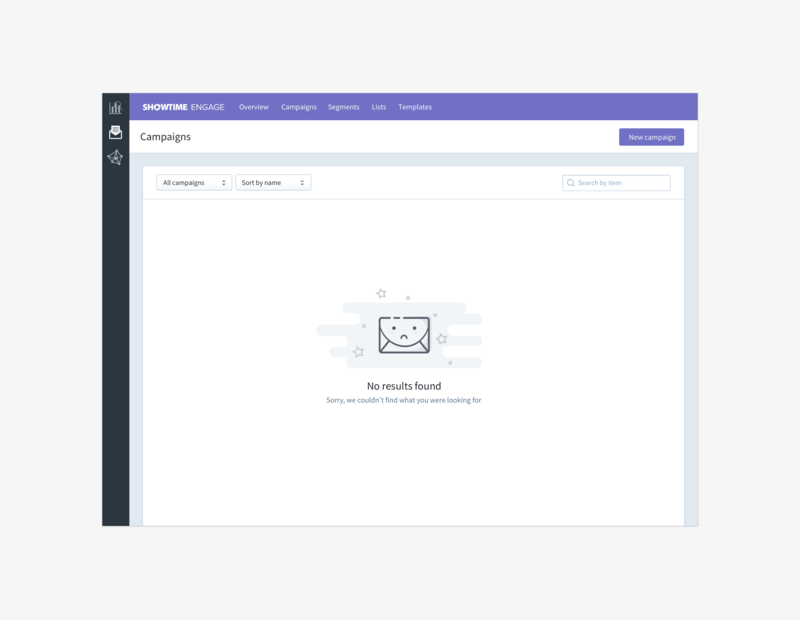 To address what would inevitably become a major problem for the product and for the business, we made the decision to create a comprehensive design system and UI component library that would support both the design and development teams. The process for creating this system is described in another case study (coming soon).